Can't Run experiment, expyriment missing ? I just installed OpenSesame on a Ubuntu 18.04 computer. I can't run the experiment from the tutorial. 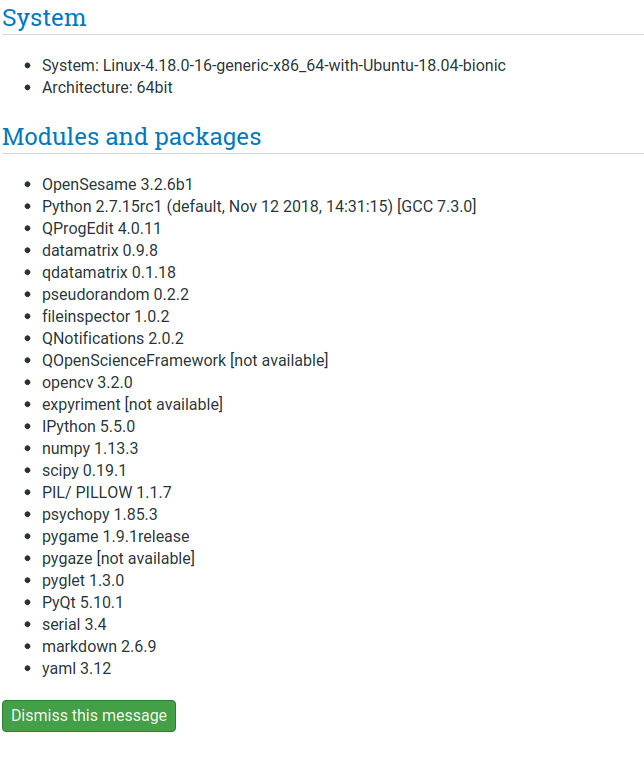 OpenSesame can't find expyriment. It wasn't installed with the software but I pip installed it and it still won't find it, same as pygaze. You can install expyriment with pip. 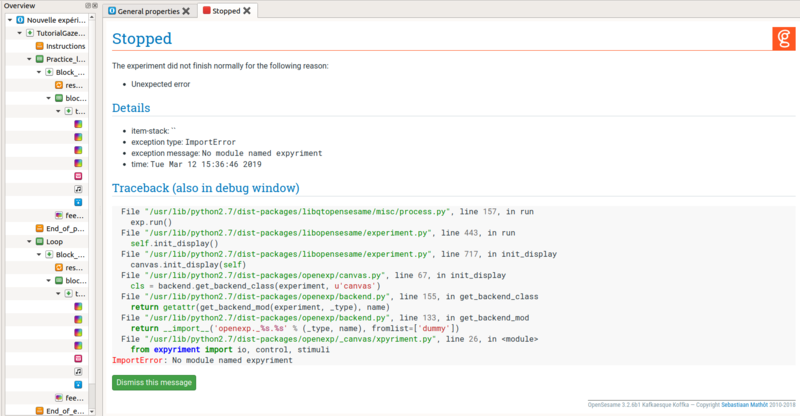 If you've tried that, and expyriment was successfully installed, but still didn't appear in OpenSesame, then you probably have multiple Python environments, and installed expyriment into the wrong one.